Discover a selection of the best wine tourism destination in the region. All year round, enjoy the numerous wine-related festivals and events organized throughout the area. For all the practical information needed to plan your trip, use our search engine, download our tourist guide, “En Route”, or click on each destination to find out more. A thousand and one adventures await you! Welcome to the Côte Chalonnaise, a land with varied contours where you can discover appellations renowned for their conviviality, whether made from the Pinot Noir, Chardonnay or Aligoté grape varietals. 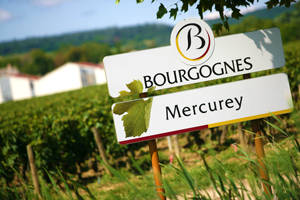 Not far from Chalon-sur-Saône, the lovely village of Mercurey is home to one of the largest AOCs in the Bourgogne wine region, classified as Village and Village Premier Cru wines. The local winemakers will welcome you for tastings and will share their passion for wine with you. You can follow the many marked trails to discover the area’s natural wealth. From the top of the “Eternal Hill”, the town of Vézelay offers a breathtaking panorama overlooking the vine-covered slopes. Wander the picturesque narrow streets, stop on a café terrace for a glass of Bourgogne Vézelay wine, and visit the church of St Madeleine, which features on the UNESCO World Heritage List. Located less than one hour’s drive from the city of Auxerre, come and discover one of France’s most treasured towns. 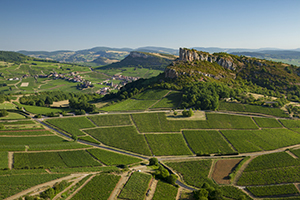 An emblematic site in the south of the Bourgogne wine region, the Roche de Solutré rises above a natural amphitheater of vineyards and rocky slopes. There, you can go back in time on the trail of prehistoric hunters, who lived here more than 50,000 years ago. After your ramble, make a stop in one of the local cooperative wineries, where you can taste the great white wines of the Mâconnais, such as Pouilly-Fuissé, Saint-Véran, and Mâcon-Villages. If you follow the Route des Grands Crus, you cannot miss this wonderful chateau. 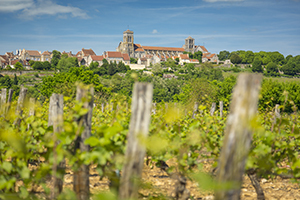 Founded around 1100 by the Abbey of Cîteaux, the Clos de Vougeot symbolizes the entire history of Bourgogne wine production through the work of the winemaker monks. Here you can visit one of the oldest cellars in France. This outstanding historical monument is today the home of the Brotherhood of the Knights of Tastevin. 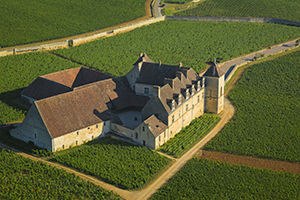 A visit to the chateau of Clos de Vougeot will delight lovers of history, architecture, and wine. Visit the famous Hospices, taste the wines of the Côte de Beaune in an historic cellar, discover some local culinary specialties on a bistro terrace – there are so many good reasons to visit the capital of Bourgogne wines. 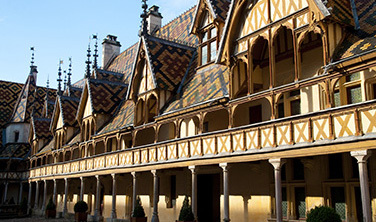 Located among some of France’s most prestigious vineyards, Beaune is a town with a rich architectural heritage, whose most renowned monument is undoubtedly the Hôtel Dieu, a 15thC hospital for the poor, also known as the Hospices de Beaune. Every year, the main hall plays host to the celebrated charity wine auctions on the third weekend in November – a festive occasion that should not be missed! 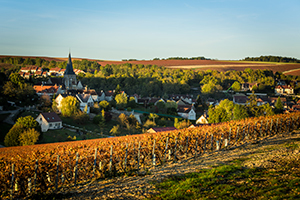 Chablis is located 180km southeast of Paris, and is the ideal destination for new experiences through tastings, visits to the vineyard, and discovering the architectural and cultural heritage of the 20 villages that make up the appellation. The great wines of Chablis offer a wonderful blend of purity and minerality that is ripe for discovery. Here, the Chardonnay grape takes pride of place. Then, you can head on to explore the Grand Auxerrois region, cradle of a wide variety of appellations including Saint-Bris and Irancy. Year-round, you can enjoy a wealth of festivities celebrating vine and wine in the region, in typical Bourgogne style. The system of Climats was included on the UNESCO World Heritage List in July 2015, and makes up the DNA of the wines of Bourgogne. This unique arrangement involves a vast patchwork of individual plots that have been identified over the centuries, each having their own specific particularities. To gain a better understanding, you simply have to wander through the vineyards to appreciate the complexity of the landscape. 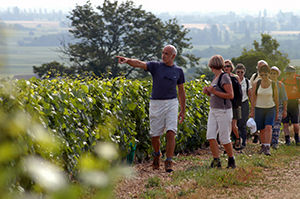 Follow the themed itineraries from Dijon to the south of the Côte de Beaune, and you will be immersed in 2,000 years of history as you unravel some of the mystery of the Climats.